We are thrilled to announce that we have partnered with True North Sports Camps to operate a Baseball Camp at Bond Park this summer! "We're excited to team up with an organization with the experience and reputation of North York Baseball Association, to provide a truly top notch summer camp," says Director of Operations, Blake Koester. "We feel that combining North York's state of the art facilities with True North's programming and staff, we can build the premier baseball camp in Toronto and deliver a truly memorable experience." Baseball Camp at Bond Park is a recreational day camp for boys and girls ages 7 to 14 years old. Operating Monday to Friday from 9:00 a.m. to 3:30 p.m., we will provide a safe and encouraging environment in which young ball players can learn, practice, and compete. Campers will be taught the fundamentals of throwing, fielding, and hitting through a combination of drills, competitions, and games. Whether you want to learn how to field a groundball or pop-fly, how to hit a homerun or drop the perfect bunt, our experienced staff will challenge every camper to improve. WHO IS TRUE NORTH SPORTS CAMPS? True North Sports Camps offers year-round sports programming for boys and girls ages 4 -14 in Toronto, Etobicoke and Markham. 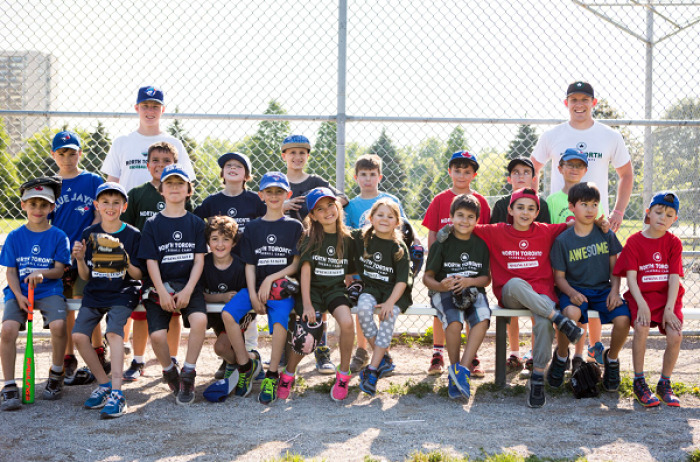 Following its humble beginnings as a local baseball camp at Memorial Park, True North Sports Camp's programs have become a staple throughout the GTA. True North Sports Camps was launched in 2007 by four wide-eyed university students. Having coached competitive youth baseball for several summers, and played at the university-level, the four decided to create a baseball camp in order to give back to their community and to continue doing what they love: teaching young athletes the wonderful game of baseball. Since 2007, True North's goal has remained the same: to provide the highest quality baseball instruction in a fun, safe and encouraging environment. For more information, visit www.truenorthcamps.com 416-619-1225 or info@truenorthcamps.com.